EIS members have been voting on the new proposal, which includes a compounded pay increase of 13.51% over three years, for the past three weeks. The ballot closed at noon today, with 98% of EIS members voting in favour of the proposal on a turnout of 76%. 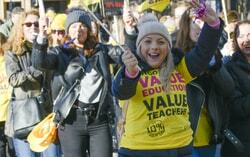 The EIS has been campaigning for a significant pay rise for Scotland's teachers for over a year, as part of the union's Value Education, Value Teachers campaign. Members rejected two previous offers in ballots and, in October last year, over 30,000 teachers and supporters marched through Glasgow in support of the EIS pay campaign. The EIS had been set to move towards industrial action but, following the latest proposal from the Scottish Government, instead opened the ballot on the new offer with a recommendation to accept. 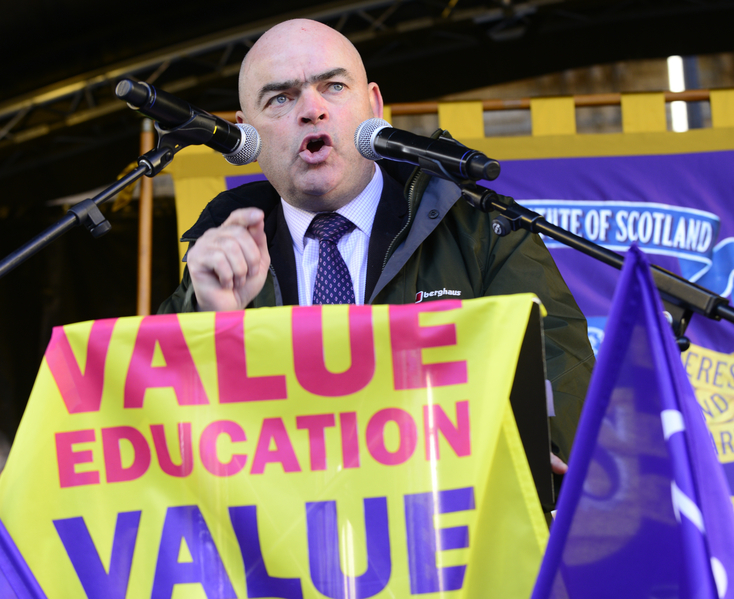 EIS General Secretary Larry Flanagan said, "The EIS launched the Value Education, Value Teachers campaign in January last year, with the aim of securing a fair pay settlement for Scotland's teachers." "The campaign has been a significant success and has now secured an improved proposal that will increase teachers' pay by at least 10% by this April, compared to current salary scales. Our members have given their overwhelming backing to this proposal, so the EIS will now move to formally conclude an agreement." Mr Flanagan continued, "The proposal from the Scottish Government, which EIS members have now backed, offers a 3-year pay settlement of 3% from April 2018, 7% from April 2019, and 3% from April 2020, for a compounded total increase of 13.51% over three years." "It also includes additional commitments aimed at tackling workload, supporting teacher professional development, and enhancing the teacher leadership programme. The package is good news for Scotland's teaching professionals and for Scottish education, and it has been achieved by the unity and determination of EIS members across the country." Mr Flanagan added, "This proposal, once formalised through the Scottish Negotiating Committee for Teachers, will ensure a period of welcome stability for Scottish education." "The enhanced salaries on offer, together with the additional commitments contained in the proposal, will help to attract new teachers and to keep experienced teachers in our schools." "All that remains is for COSLA, as the employers, to formally adopt the proposal at its Leaders' Meeting on Friday of this week and to then make an official offer through the SNCT. We look forward to concluding agreement thereafter."